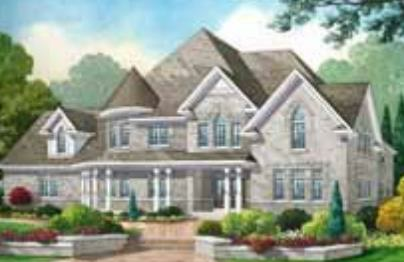 currently under construction at 10 Sideroad, Bradford West Gwillimbury. The Shires has a total of 63 units. Sizes start at 4795 square feet. Located on sprawling, picturesque estates, these icons of the English countryside were designed to create the ultimate experience in refined, elegant country living. The stunning homes of the English countryside serve as the inspiration for the GTA's newest and most impressive estate community. Located in Bradford, The Shires by Fernbrook Homes sets the new standard for luxurious country estate living. Overlooking the Holland Creek and the robust natural beauty of the Oak Ridges Moraine, The Shires offers an unparalleled selection of stately mansions on majestic one to three acre estates. 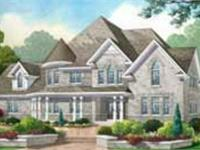 Each home is as unique as its owner - built with artisanal craftsmanship and accented with regal finishes and features. Welcome to The Shires. Your inquiry will be delivered to the developer / builder of The Shires, who will send you more information about this development.